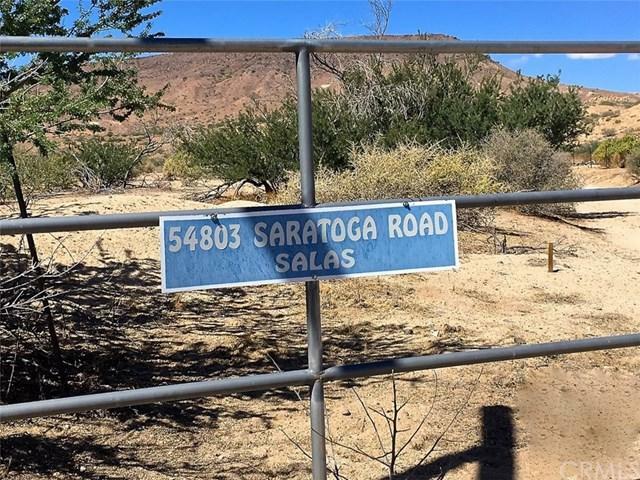 Panoramic 40 acres with spectacular views of Flat Top Mesa and Black Lava Butte. Property includes a working windmill and water well with solar power. Back up generator and propane set up makes this property self sufficient, off-grid and easily an island unto itself. The rich history of this horse ranch is evident in the layout of the tack barn, corrals, pens, wash rack and walker. The 1,500 square foot steel workshop has pull through doors and parking apron. Manufactured home was purchased new in 1999 and features a cathedral ceiling with bedrooms at each end. Very nice layout to make for your weekend retreat or permanent residence. Working water well at 300' takes the unknown out of buying raw land and guessing at hitting water. New storage tank and quality pressure pump housed in insulated shed. Ideal location is quiet and yet close, a perfect opportunity to take a short trail ride over to Pappy and Harriets for a concert or further explore the Sand to Snow Monument. 40 acres of rolling slope divided by a wonderful riparian habitat of native wildlife and natural vegetation. 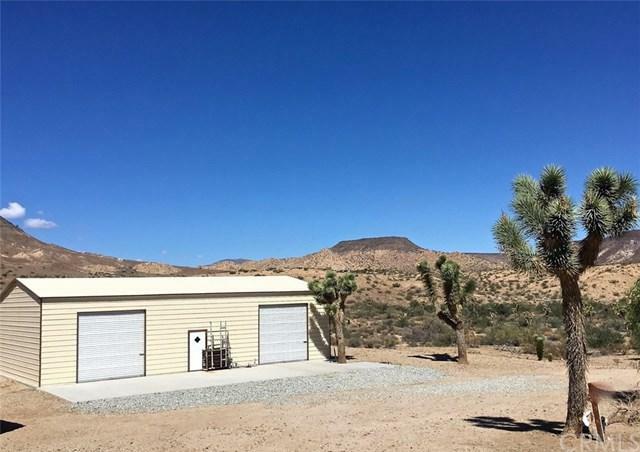 Joshua trees, yuccas, catclaw and chaparral adorn this enormous property. 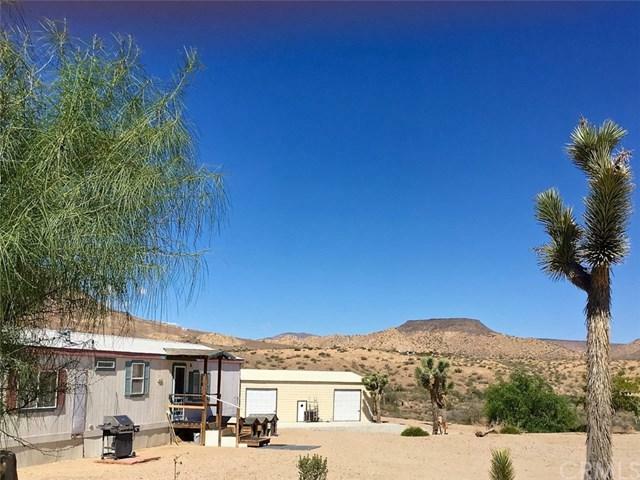 Fantastic elevations of rolling slope that will provide some of the most beautiful panoramic views of sunrises and sunsets you will ever see in the southwest. 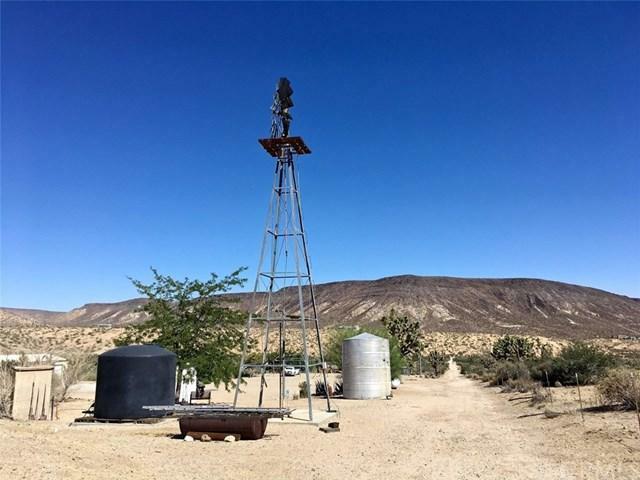 Come and walk the Windmill Ranch and I am sure you will feel the history, the love, the good times and the amazing experience of being in the canyons of Pioneertown.